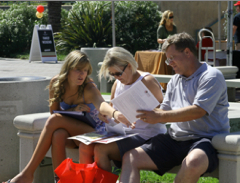 Parents play a crucial partnership role at San Diego State University. Over the years, SDSU has forged strong ties with the parent community, which today works hand-in-hand with the campus administration. 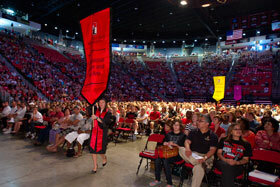 In 2003, the first New Student and Family Convocation was introduced to SDSU. This ceremony officially welcomes new students and their families to the university. What had previously been known as Student Life Orientation, a one-day event, has evolved into Welcome Week. Each fall, SDSU hosts the annual Family Weekend, a fun and informative weekend of activities designed for families of current SDSU students. The Aztec Parents Association (APA) has been recognized as one of the leading university parent organizations in the country.